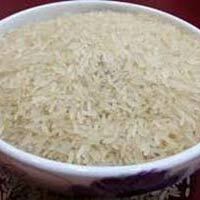 We offer variety of IR 64 Raw Rice such as raw, steam, boiled, half boiled, etc. IR 64 Raw Rice, offered by us, is triple polished, double silky, sorted and broken. IR 64 Raw Rice that we offer is hygienically processed and is assured to be free from chemical & pesticides treatments. IR 64 Raw Rice is widely acclaimed for delicious taste, enticing aroma and freshness.